It isn’t often that I am left speechless after reading a news article but it happened this week. I was astonished to read that a million of the UK’s drivers drink and drive every week. Isn’t anyone else as mentally scarred as I am from all those frightening TV adverts on the telly? I won’t even take a single alcoholic drink if I am going to be driving but it seems that more people drink and drive than I had thought. People who live out in the countryside are twice as likely to get behind the wheel, largely because there is usually less chance of getting caught out on quiet country roads. These figures come from a new survey which was run by Coca Cola in the run up to the Christmas party season. 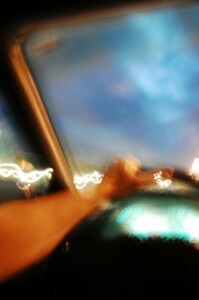 1 out of every 7 of the UK’s drivers admitted to driving after drinking on a weekly basis. In rural areas this figure goes up to almost a third of all drivers. Another interesting fact was that 41% of the people questioned thought that drinking 2 units of alcohols was fine. 9% thought that the law allowed them to drink 4 units. The truth is that the official advice is to steer clear of the booze altogether. With 80mg of alcohol per 100ml of blood you are right on the limit, while in terms of your breath 35mg per 100ml is the limit. Despite this, a third of drink drivers get behind the wheel because they feel that they are fine to drive. Robert Goodwill is the road safety minister and he didn’t beat around the bush. He said that anyone who drinks before driving this Christmas will face some “very serious consequences”. If you do this you can expect to lose your licence and possibly also run into employment problems as well. I felt weird the first time I went to a works Christmas night out and didn’t drink, as I was the designated driver. However, after a couple of hours I realised that it was one of the best nights out ever and that I didn’t miss the drink at all. Since then my hand has always shot up whenever a designated driver is asked for. Why not try the same this year and see how you like it?